While everyone tries to practice the best oral hygiene possible, the fact remains that sometimes, decay or damage occurs to teeth. Certain dental restorations such as traditional fillings can weaken the tooth and often require replacement. 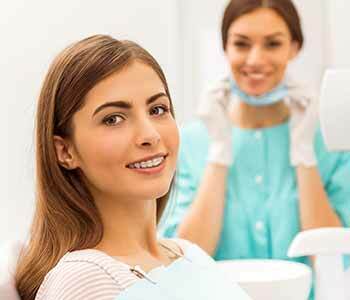 At Virtue Dental care in Yadkinville, we are committed to providing our patients the best dental technology available, which includes same-day tooth restorations such as crowns and onlays. With CEREC, patients can receive a ceramic dental restoration in a single visit, allowing them to be in and out of the office with a brand-new crown or onlay in one day. Chairside Economical Restoration of Ceramics (CEREC) means that we can cost-effectively restore a tooth that is damaged or decayed in a single office visit. CEREC restorations use high-quality ceramic that can be color-matched to existing teeth. CEREC came about after decades of clinical research and, to date, over eight million restorations have been completed worldwide thanks to this technology. 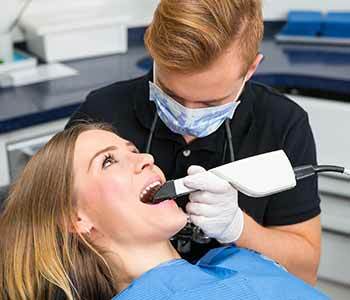 The CEREC system uses CAD/CAM technology that includes a computer, camera, and milling machine. The camera is used to take an “optical impression” of the damaged tooth which is then displayed on the computer monitor. The CAD (computer aided design) software is used to design the restoration. From there, Dr. Virtue will send the designed data to the CAM (computer aided manufacturing) milling machine for fabrication. In about 20 minutes, the restoration is complete and ready for bonding. The ceramic restoration will be placed in the mouth to ensure proper fit before permanent bonding. The best part? All of this can take place in about an hour! Same day dentistry means fewer injections, less drilling, and less time at the dentist’s office. When you receive a CEREC onlay or crown, you are ensuring that you have a beautiful, natural looking restoration free of metal. The ceramic used with CEREC restorations is biocompatible, anti-abrasive, and plaque-resistant. Same day onlays and crowns eliminate the second visit that is usually required in restorative dentistry. With traditional restorations, the first appointment often requires an injection, tooth preparation, impressions, and a temporary restoration. Instead, with CEREC, you are able to walk out of the office with your newly restored smile after just a single dental visit. CEREC restorations use supremely high quality dental materials. Rather than amalgam or other metals that can be harmful to the mouth, CEREC uses a strong, tooth-colored ceramic material that is safe and natural looking. CEREC will restore function, strength, and beauty to your smile. Dr. Virtue will choose a ceramic block that matches the shade of your tooth, for a truly natural looking result. With CEREC, the onlay or crown is bonded directly to the tooth, which preserves healthy, natural tooth structure and strengthens the tooth. Same day restoration is not the only benefit of CEREC technology. According to research, the lifespan of typical CEREC onlays and crowns is much longer than restorations made of other materials. Additionally, they’ve also been shown to last longer than lab-manufactured restorations, allowing many patients to keep their restorations for decades. The CAD software used with CEREC maps out the inside of the mouth to ensure a high degree of accuracy down to tiny details, eliminating inaccuracies that can occur during typical impressions. With CEREC there are no uncomfortable molds that taste bad, and there is less need for adjustments. No one likes having to receive restorative dental work, but the good news is that it no longer requires multiple visits. With CEREC, you can have high-quality, same-day restorations that are strong and beautiful. If you are in the Yadkinville area and would like to learn more about the benefits of CEREC, call Virtue Dental Care today at 336-606-0040 to schedule an appointment. 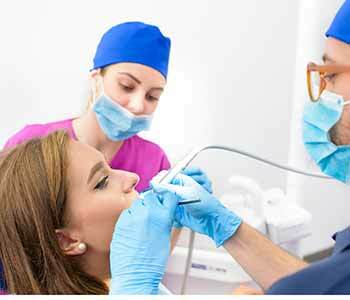 Virtue Dental Care offers a wide range of general, cosmetic, and restorative dentistry procedures.